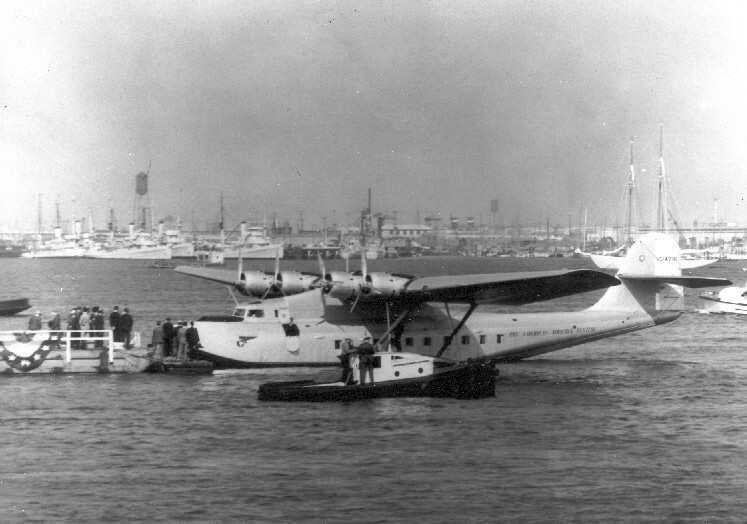 The Martin M130 flying boat was built by Glen L. Martin of the Martin Aircraft Corporation in Baltimore, Maryland. 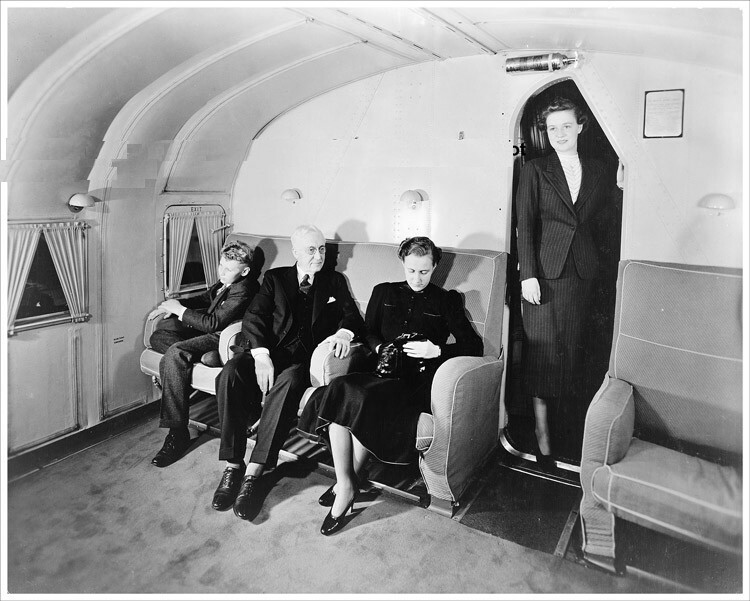 Three were manufactured and all went to Pan Am. 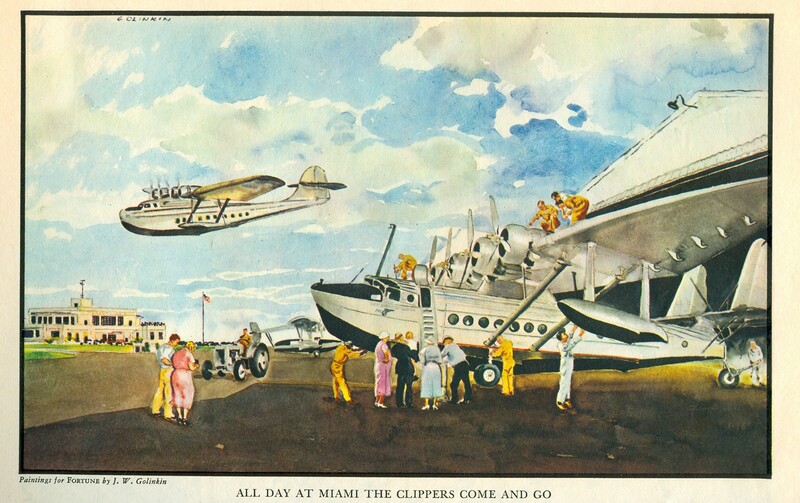 The most famous, NC14716, China Clipper inaugurated Pan Am’s scheduled Trans - Pacific service on November 22, 1935. 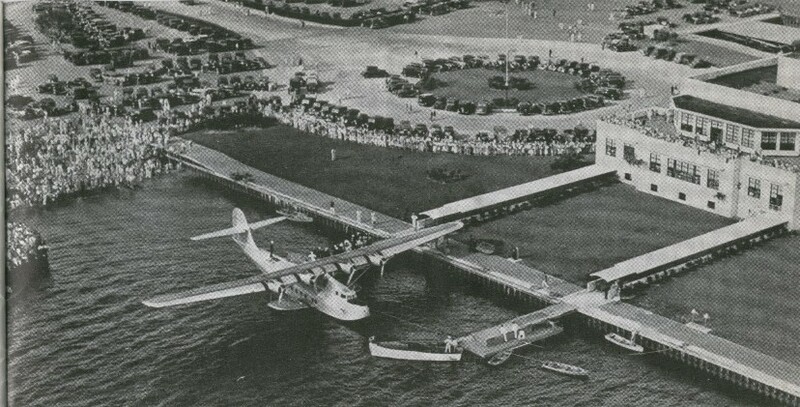 The Trans - Pacific service operated from San Francisco to Manila in the Philippines via Honolulu, Midway Island, Wake Island and Guam. 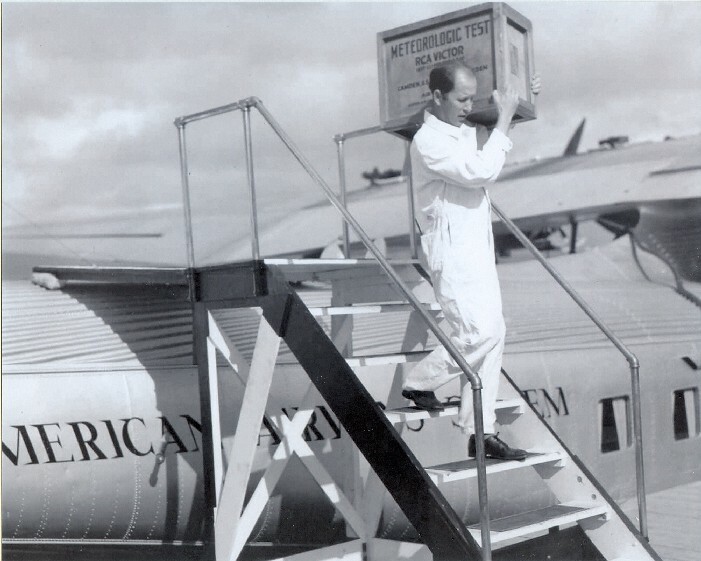 The first flights only carried air mail and took 7 days. 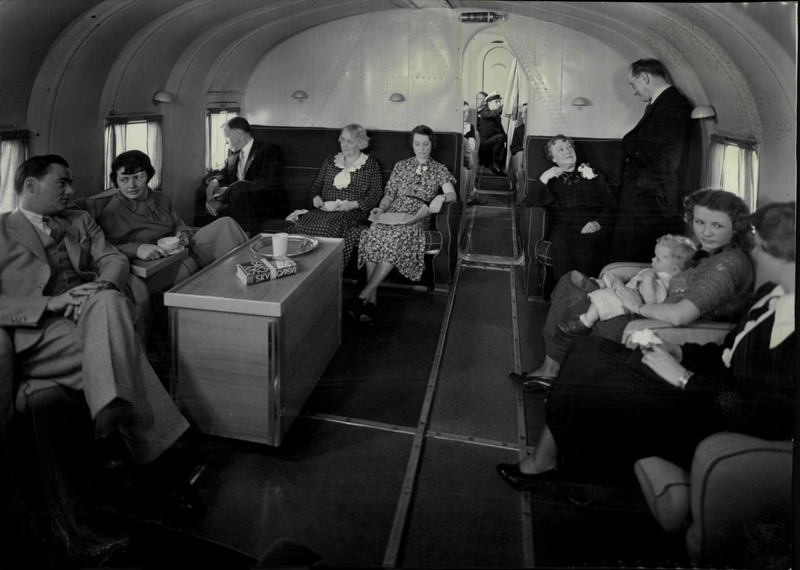 Passenger service began approximately one year later. 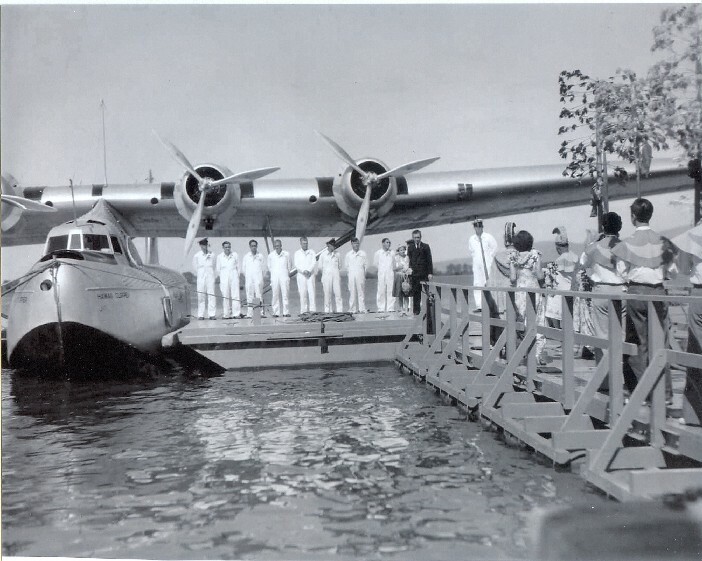 The China Clipper had a prestigious career but sank in Port of Spain, Trinidad after a hard landing on January 8, 1945. 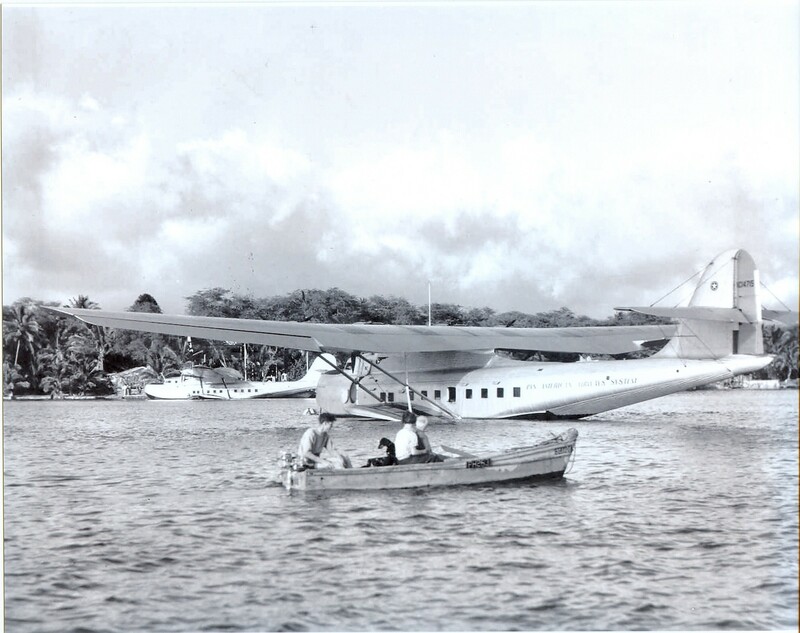 Sister ship NC14715, Philippine Clipper, also joined the fleet in 1935 but was lost when heavy fog caused it to crash into a mountain in Boonville, California on January 21, 1943. 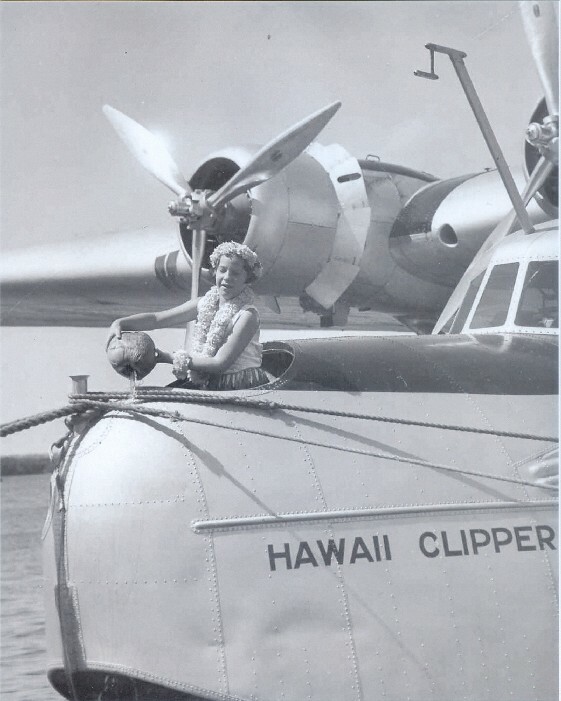 The third Martin M130, NC14714, Hawaiian Clipper joined Pan Am in 1936 but disappeared under mysterious circumstances on July 28, 1938. 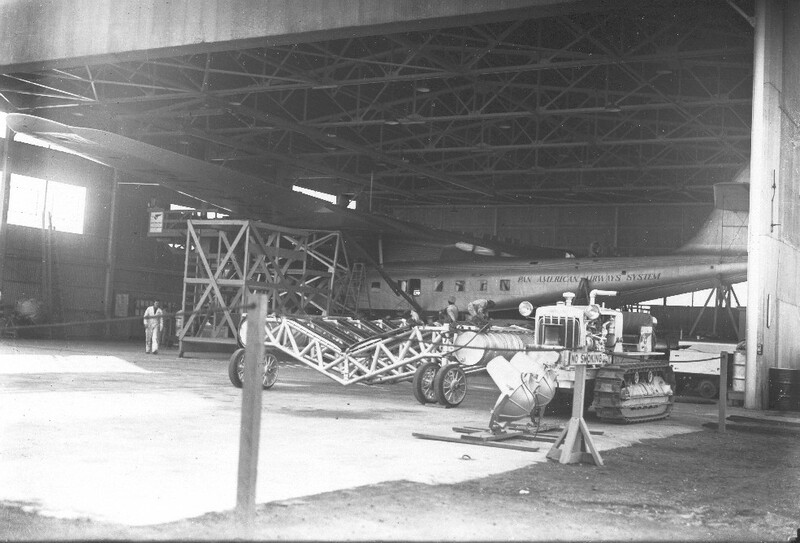 No wreckage was ever found arousing suspicion of a Japanese government sponsored hi-jacking. 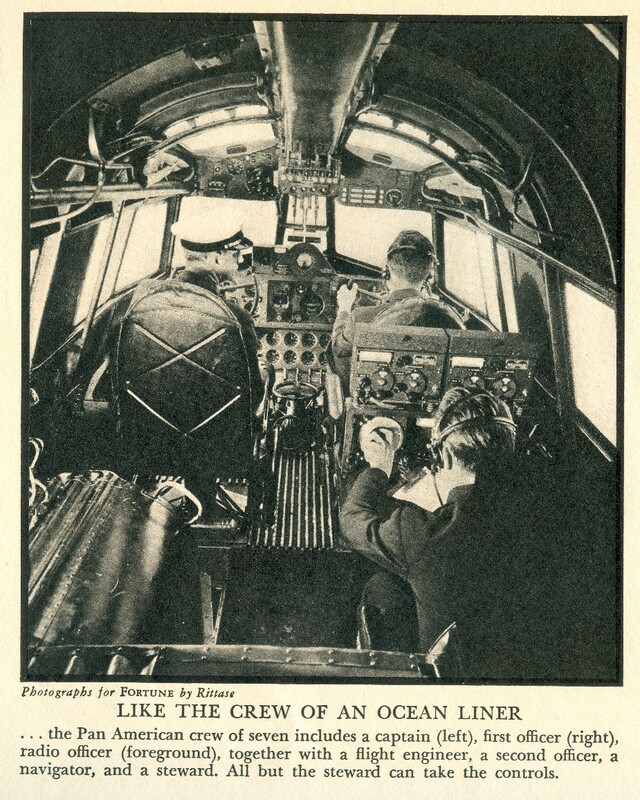 Japan was unhappy with America’s presence in what it considered it’s region of influence. 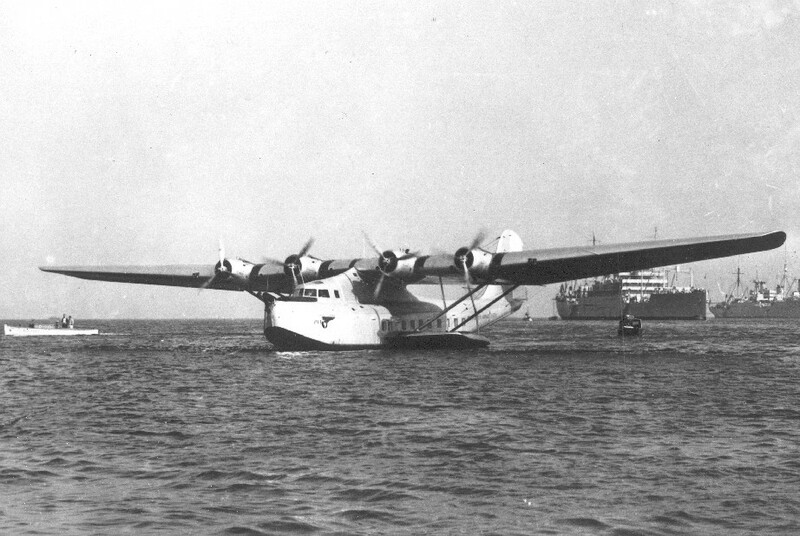 Japan subsequently developed a long range flying boat that had many characteristics similar to the M130. 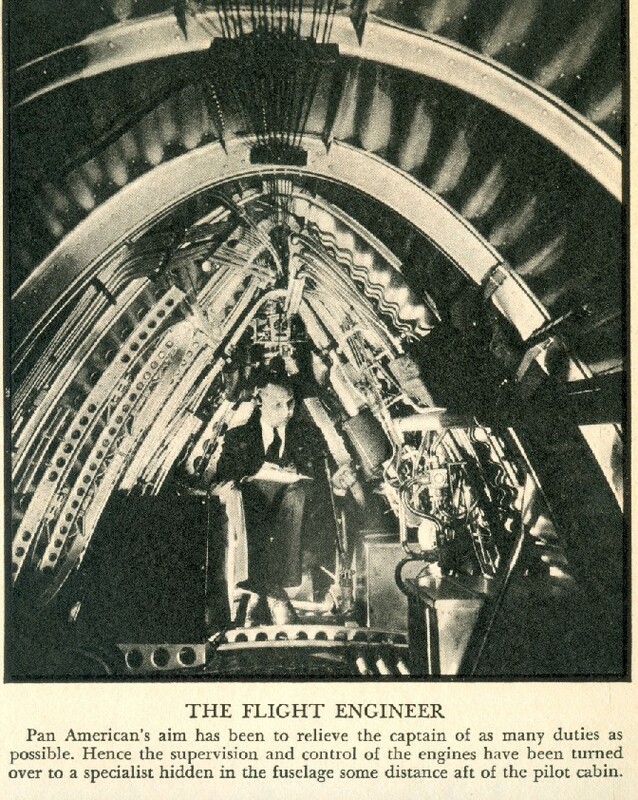 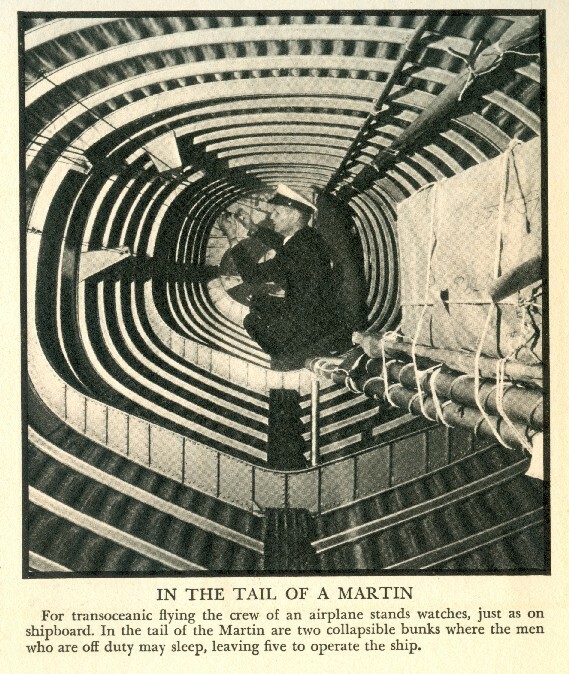 Click to enlarge the below cut-a-way diagram to see detail of the Martin M130 passenger cabin.